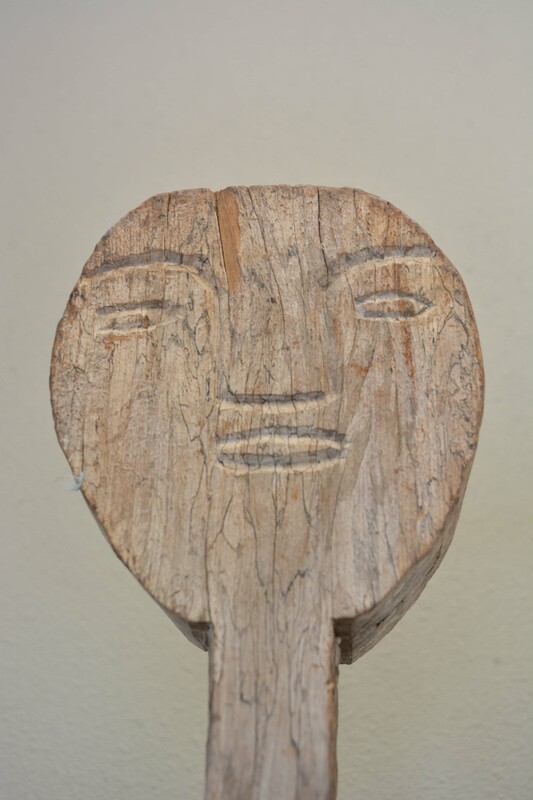 Carved from dense wood this old figure is representative of an ancestor. 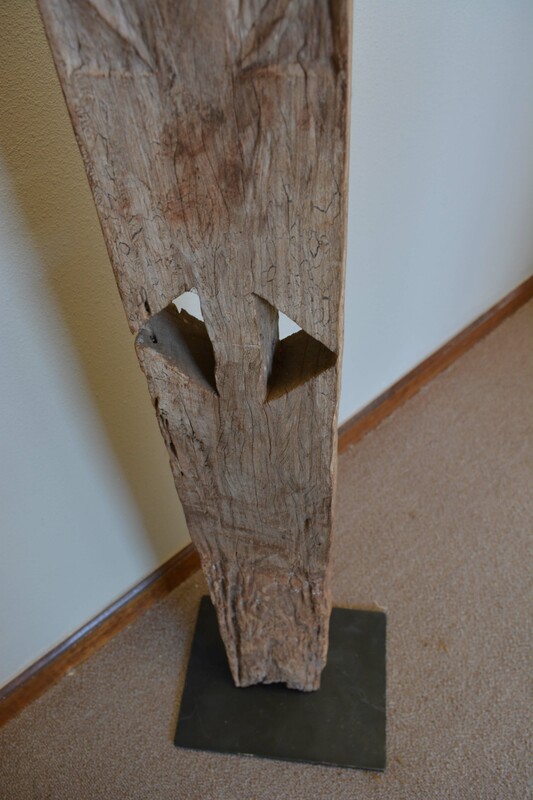 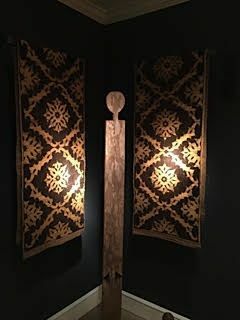 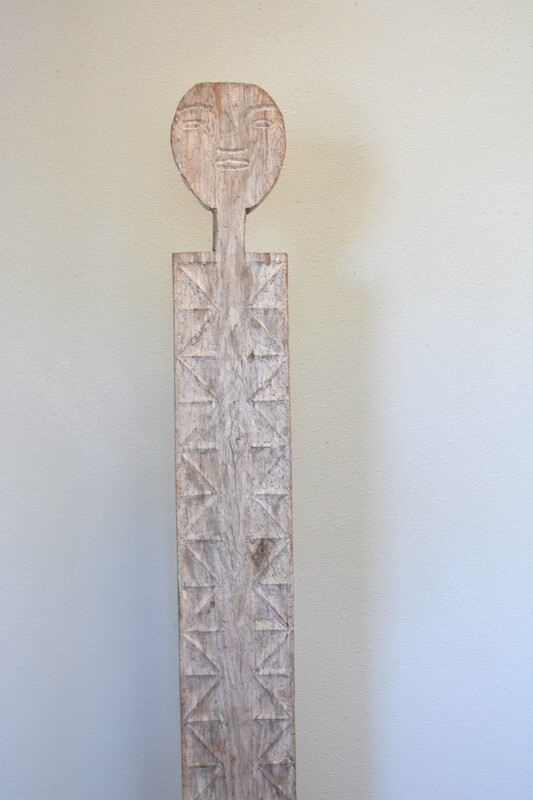 Simple, yet strong in character, this piece of sculpture from the African culture looks great in any contemporary environment. 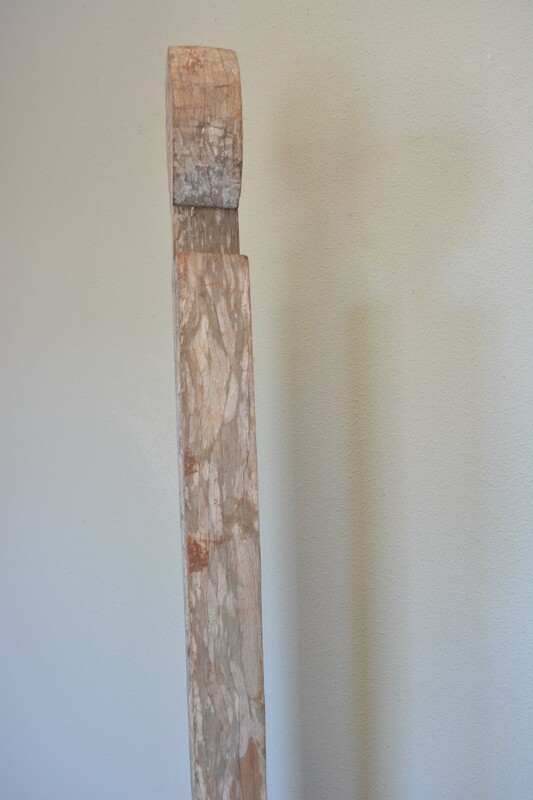 L 12" x D 9" x H 72"